On one of the first foreign trips I took with John McCain, he handed me his comb and asked me to straighten out his hair. He could not raise his arms above his shoulders to comb his own hair, a lifelong consequence - and not the only one - of the abuse he suffered during his more than five years in a North Vietnamese prison. Years later, I traveled to Hanoi with McCain and visited that prison, which is now a museum. A group of Vietnamese high school students came through and when they recognized him, they began chanting his name, cheering, clapping and asking for pictures and autographs. McCain had become a hero to the Vietnamese people because he had sponsored the legislation that normalized U.S. relations with Vietnam, the country that had treated him so inhumanely. Somehow, he had found it within his soul to put the past behind him and lead the way forward in U.S.-Vietnam relations because that was in the best interests of the United States. 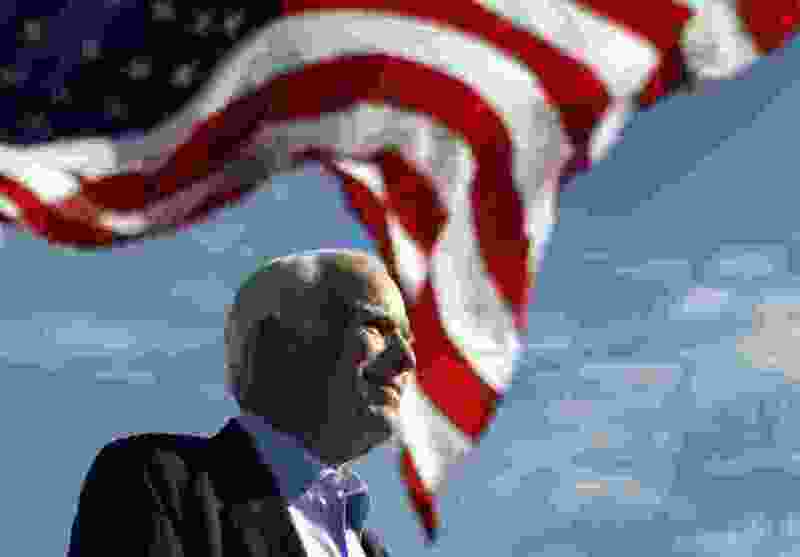 McCain was a passionate person, and he had a temper, but he rarely stayed angry at anyone. He liked people generally, but I also think he concluded that it wasn't worth staying angry, particularly at those you needed to work with to get things done. He was always looking forward, not backward. That is a powerful example for all of us, including President Donald Trump, who has continued to attack McCain seven months after his death. McCain's life on Earth has ended. His legacy as a great American patriot, hero and exemplary public servant is beyond revision. The person who suffers most from the strange, posthumous attacks by the president is the president himself. Respectfully, the president should let McCain rest in peace and give his family the peace they deserve during this difficult time after his death. The two main grievances Trump seems to have against McCain are not well-founded. If he were alive now, he would probably not answer the president. But I feel a responsibility as his friend to do so. First, when McCain turned a controversial dossier involving Trump over to the FBI in 2016, it was exactly what he should have done, what I would have done and what every senator I served with did in similar circumstances. Serious allegations were made in that file, so McCain turned it over to the FBI to investigate. Giving the file to anyone else or throwing it away would have been a dereliction of duty and improper in our rule-of-law country. Second, I know the president and many other Republicans were angry that McCain came back to Washington in July 2017 after his first operation to remove cancer from his brain and surprised everyone by voting against the repeal of Obamacare. But I can tell you, because I talked to him about it, that he didn't vote that way to spite Trump, Senate Majority Leader Mitch McConnell, R-Ky., or anyone else. People who heard his speech on the Senate floor that day or have read it since know that McCain cast that vote not against repeal of Obamacare but against the partisanship that had taken over the Senate and made it into a feckless, gridlocked, divided place. After his brain cancer diagnosis, McCain understood he might not have long to live and that the vote might have been one of the last, best times he would have to make the points he needed to make. So he made them - and he did so brilliantly. As he said in his speech in the Senate: "Our deliberations . . . are more partisan, more tribal more of the time than any other time I remember. . . . We've been spinning our wheels on too many important issues because we keep trying to find a way to win without help from across the aisle." He continued: "The Obama administration and congressional Democrats shouldn't have forced through Congress without any opposition support a social and economic change as massive as Obamacare. And we shouldn't do the same with ours. . . . What have we to lose by trying to work together to find those solutions? We're not getting much done apart. . . . The times when I was involved even in a modest way with working out a bipartisan response to a national problem or threat are the proudest moments of my career, and by far the most satisfying." That is the lesson Trump and every member of Congress should take away from McCain's acts and words in the U.S. Senate on that long day in July 2017. Trump, because he is president, has the greatest capacity to move our government in the direction McCain appealed for that day and that most Americans clearly want. I pray Trump will follow McCain's advice and give Democrats in Congress an opportunity to work with him to solve some of our most pressing national problems and threats. And I also pray Democrats respond to Trump in good faith and with the national interest as their guiding light, which it consistently was for McCain. 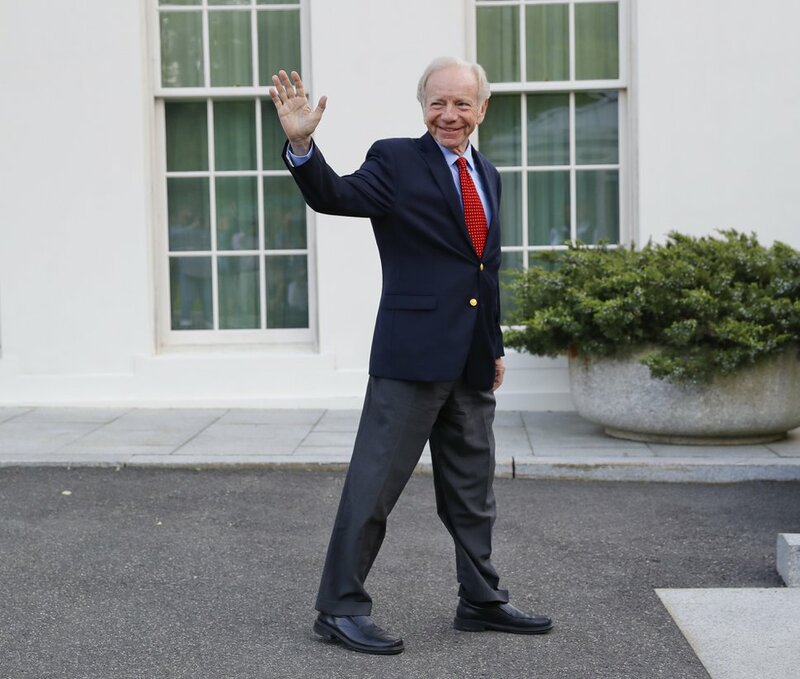 Joseph I. Lieberman represented Connecticut in the U.S. Senate from 1989 to 2013.